Because of its location, a mere two hours away from San Jose, Jaco might be the most popular beach in Costa Rica, with both locals and tourists finding it to be the perfect weekend getaway. 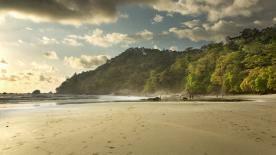 Part of the Puntarenas province, Jaco beach is known for its reputation as the Costa Rican party town by excellence. However, the city can also accommodate people in search of a more relaxed time by offering warm beaches and isolated areas ideal for fishing and kayaking. The beach extends for over two miles and is mostly blessed with warm temperatures. 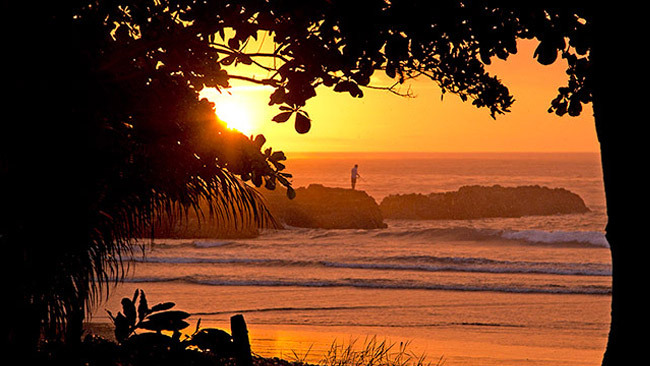 Jaco can get quite humid depending on the time of the year, but the ocean water always remains refreshing, which also makes it an affable spot for surfing. 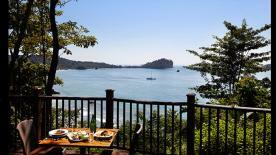 Jaco neighbors the bay of Herradura as well as the popular Playa Hermosa. 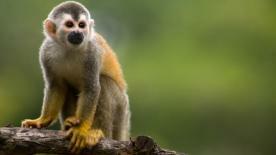 Nearby attractions also include the Carara National Park, whose most famous inhabitants, the Scarlet Macaws, welcome you by flying over as you drive down the road. Jaco’s immense popularity among younger crowds and proximity to the nation’s capital coupled with the incredible off-shore fishing led to the construction of the immaculate 1,400 acre Los Sueños Resort & Marina, just 5 minutes north in Herradura Bay. This world class resort features a spa, casino, 12 restaurants, 18-hole golf course, beach club, 200 slip marina, and the luxury condos and private homes that make up the resort itself. The decision behind choosing the location of the Los Sueños Resort can be easily traced back to the natural bay it’s located in (Herradura means ‘horseshoe’ in Spanish), and of course, the incredible sportfishing. The sportfishing is so good and so consistent here that the Los Sueños Marina holds two very popular international billfish tournaments every year. The off-shore fishing can be done as close to 20 miles from the marina, which means most days you have your lines in the water within an hour of boarding the boat. More often than not captains will find the bite at popular hot spots like ‘The Corner’, ‘The Pocket’, and ‘El Veintiseis’. On the run out there they’ll always be looking for currents, garbage flows, or pods of spinner dolphins that may be hiding tuna underneath them. If you aren’t interested in going after sailfish or marlin, there are several hot spots for in-shore fishing as well. Many of our local captains grew up spear fishing and lobster diving in the area so they know the reefs and underwater caves where big fish hide. There is always roosterfish near the rocky shoreline and islands as well as snapper, grouper, jacks, barracuda, and mackerel. Playa Hermosa is home to a widely known surfing contest that takes place each year and attracts contestants from all over the world. Jaco is notorious for its sportfishing, given that its seas are home to various fish species. Jaco offers all kinds of accommodations but is known for its luxurious private condos and villas.